Air Charter Advisors arranges private jet charters in Madison, the state capital of Wisconsin, and the seat of Dane County. The city forms the core of the Madison Metropolitan Statistical Area, which includes Dane County and neighboring Iowa, Green, and Columbia counties. 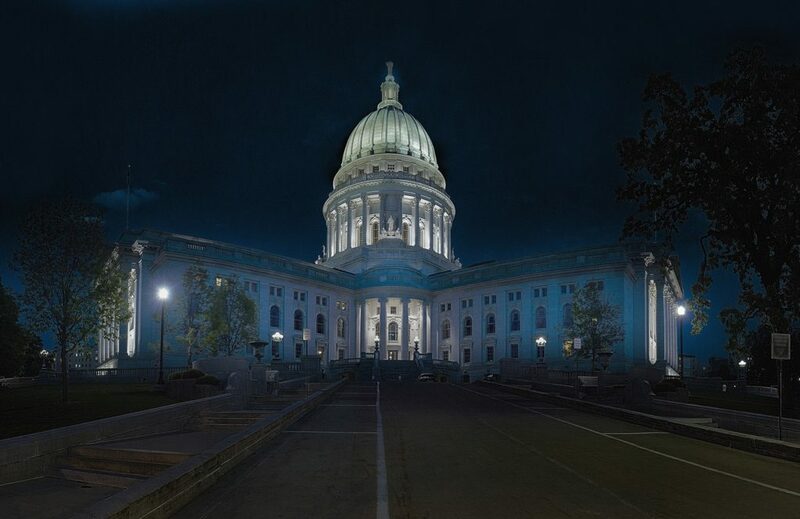 Madison has served as the capitol of Wisconsin since 1848, the same year the state was admitted into the Union, and the same year as the founding of the University of Wisconsin. It’s also known for its lakes, restaurants, and it’s award-winning network of parks and bike trails, much of which was designed by renowned landscape architect John Nolen. Book your private charter flight to/from Morey Field (C29), the area’s main private aviation hub, or Dane County Regional Airprot (MSN), located just outside of Madison. Also known as Truax Field or DCRA, it offers a long runway, a private terminal, and 24 hour services for private jet charter. Our Madison private jet charter services are tailored to match the needs of executive groups, special events, and more. With more than 10 years of experience, we provide executives, HNWI’s, government officials, and luxury/VIP travelers with the best air charter services in the state of Wisconsin. Our Madison air charter advisors leverage our experience and access to offer the best deals on Madison charter flights, all while holding some of the highest levels of safety in luxury and business aviation. Choose from thousands of private planes no matter where you’re flying to or from. our on-demand air charters help avoid re-positioning fees and the heavy upfront costs of private jet memberships. Call us at 1-888-987-5387 and discuss all of the aircraft and airport options with one of our air charter brokers. We’re available 24 hours a day to handle all of your private aviation needs. You can also request more information by contacting us for details on private charter flights to/from Madison, WI. Madison is served by its main airport, the Dane County Regional Airport, which handles around 1.8 million passengers every year. The majority of general aviation happens at Morey Field, located 15 miles (24 km) away in Middleton, WI. Morey Field is ideal for regional flights within the Midwest, offering a 4,000-foot runway, and FBO services offered by Morey Airplane Co, however, if you’re chartering a private jet, you’ll have to arrive at Dane County. Located just 6 miles northeast of downtown Madison, Dane County Regional Airport (IATA: MSN, ICAO: KMSN, FAA LID: MSN) is a civil-military airport, classified by the FAA as a small-hub primary commercial service facility. 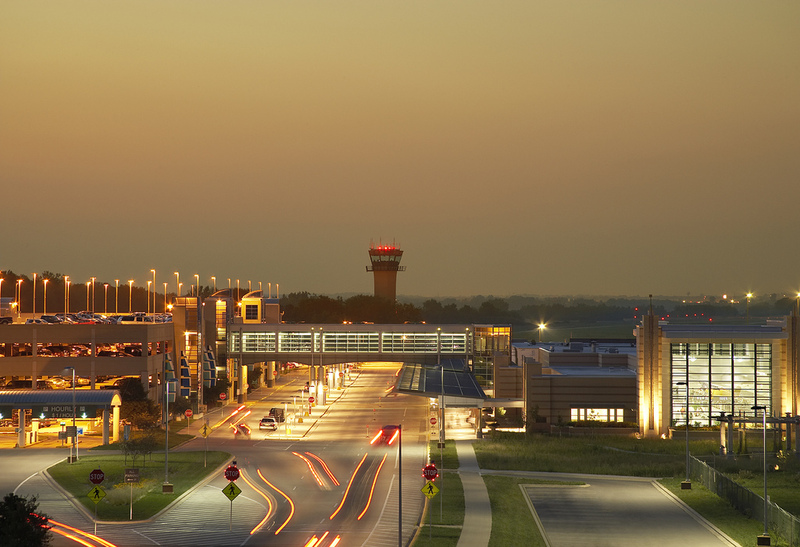 Also known as Truax Field and DCRA, Dance County Regional the second busiest commercial airport in Wisconsin. Equipped with 3 runways, American, Delta, Frontier and United provide scheduled service Airlines at DCRA operate Airbus A319s and A320s, as well as Boeing 737s and 757s, which are among the largest aircraft operating at the airport. Located just 5 miles (8 km) northwest of Middleton in Dane County, Wisconsin, Middleton Municipal Airport (FAA LID: C29) is the area’s main general aviation airport. Also known as Morey Field, the airport was named after founder Howard Morey, who founded the airport in 1942. The airport stayed in the family, managed by Field Morey, the son of Howard, and Richard Morey, the son of Field. The It was sold to Middleton in 1998, and changed its name to Middleton Municipal Airport – Morey Field. Although it was sold to the city, Richard Morey still manages the FBO which provides services to airport users. Enjoy the flexibility and convenience of private air travel when arranging jet charter flights to Madison, WI with Air Charter Advisors. Gain instant access to thousands of charter planes across the country and around the world, hiring the best plane and enjoying deals on every flight. Choose from hundreds of charter planes based in Wisconsin and surrounding areas. Our Madison jet charter brokers have access to a variety of planes on the charter market, including empty leg jets and transient planes to offering substantial savings. This allows you to choose the best plane for every trip, from light jets flying within the Midwest to super midsize and long range jets on transcontinental and international journeys. Furthermore, safety is the most important factor when offering aircraft options to our clients. We carefully review third-party reports of every plane and pilot we arrange. Planes must be operated by FAR Part 135 or 121 certified (or foreign equivalent) air carriers; pilots must carry high levels of experience flying the aircraft you’re chartering. Our private jet Madison, WI team offers a hassle-free, consultative approach. Check out our aircraft section for specifications and hourly rates on the planes available for your private charter flight. Charter a private jet to Madison, a popular lakeside destination in the Midwest. 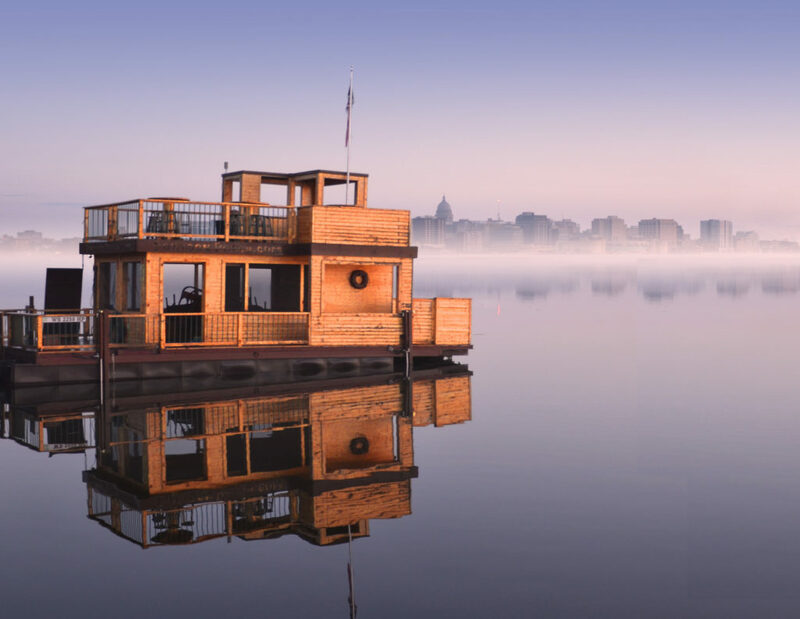 Located on an isthmus in south-central Wisconsin, Madison and it’s surrounding area are defined by its five lakes: Mendota, Monona, Wingra, Waubesa, and Kegonsa. 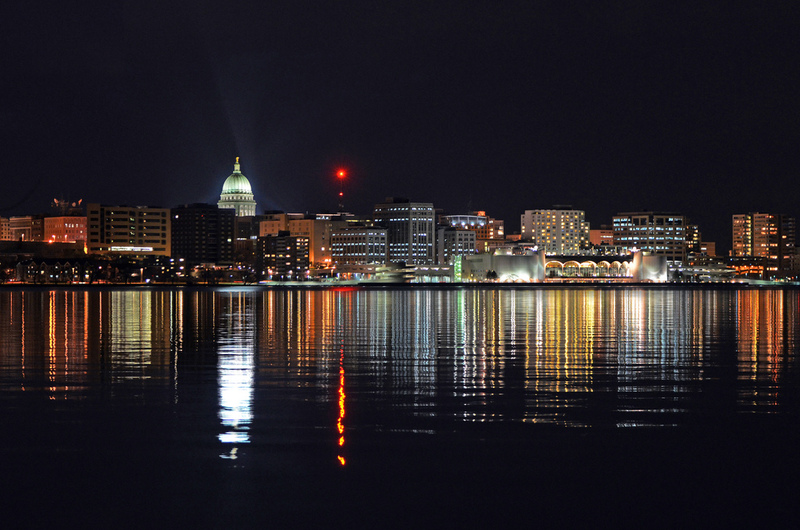 From the state capital building, the University of Wisconsin–Madison, and beautiful recreational areas, the city offers more than visitors might expect from a metro area home to less than 700,000 people. Excellent restaurants, theatrical performances, live music, and high-end shopping, Madison offers all the fixin’s of a bustling city minutes from the beautiful rural countryside. Madison received the highest rating for bike friendliness from the League of American Bicyclists, and it consistently ranks well on a variety of top city lists, from where to raise a family, who has the healthiest population, and overall quality of life. Since the 1960s, the area has been a center for liberal politics, influenced mainly by the University of Wisconsin–Madison. Sharing similarities with Austin, Berkeley, and other well-known college towns, Madison is home to a creative, educated population, but maintains the relaxing, small-town feel you’ll only find in the Midwest. Check out some more information on the area below, and book your private charter flight to Madison, WI with Air Charter Advisors. Located on the isthmus between Lake Monona and Lake Mendota with the city’s skyline running along the backdrop, the Wisconsin State Capitol Building is one of the most popular attractions in Madison, WI. The Capitol is an architectural amalgamation, measuring more than 200 feet tall, and composed of 43 different types of stone from various regions of the world. It also features hand-carved furniture, glass mosaics, and Daniel Chester French’s bronze statue, “Wisconsin” to top it off. The Madison Museum of Contemporary Art features modern and contemporary art in a new facility at the Overture Center for the Arts. The new building was designed by Cesar Pelli, a world-renowned architect, offering more than 50,000 square feet of space, and a beautiful sculpture garden on its rooftop. While you’re up there, stop by Fresco, a rooftop restaurant & lounge located on the roof of the Museum of Contemporary Art. Luxury travelers can enjoy breathtaking views over cocktails and contemporary at this stylish, sophisticated eatery. Fresco features chic decor to go with its menu of creative menu of appetizers, European-style entrees, and delicious desserts. Camp Randall Stadium is the home of the Badgers, the University of Wisconsin’s college football team. Camp Randall was built in 1917 and currently seats over 80,000 people, making it one of the largest school-owned stadiums in the country. The stadium also hosts events throughout the year, from music concerts to Green Bay Packer exhibition games. If you’re charter a private flight during the winter, make sure you pack a few coats; fly private during the summer, and bring a few pairs of shorts and your swimsuit to enjoy Madison’s beautiful lakes and warm, sunny afternoons. Weather in Madison is typical of that in the Midwest: warm, humid summers followed by blisteringly cold winters, and mild seasons during the spring and fall. Along with the rest of Wisconsin, Madison has a humid continental climate with variable weather patterns, and a wide range of seasonal temperatures. Winters can drop to below freezing, with heavy snowfall and temperatures reaching 0 °F (−18 °C). 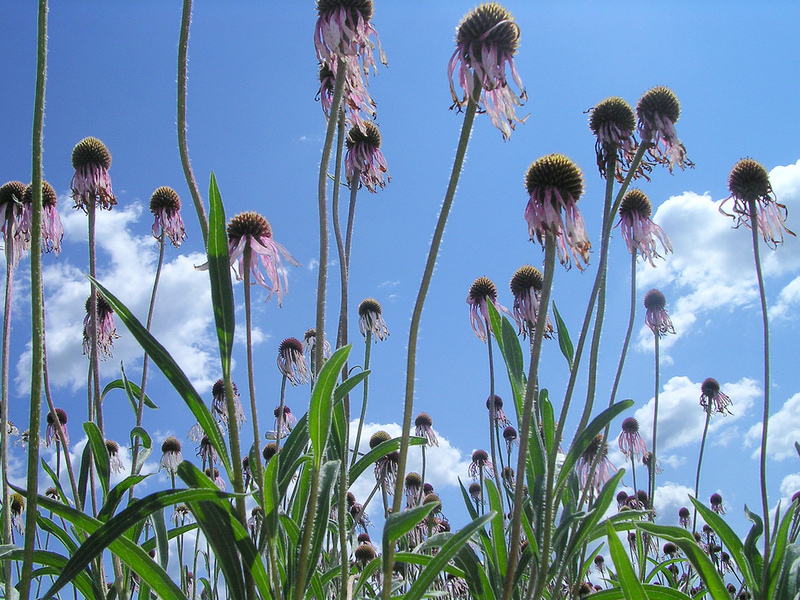 Summer brings an average high temperature in the low 80s °F (27–28 °C), reaching 90 °F (32 °C). It also accounts for the most significant amount of rainfall, although winter still sees a large amount precipitation. Madison offers a variety of hotel options for travelers. it’s easy to find the right hotel option, whether you’re here on business or pleasure. Downtown offers a variety of central stays, with convenient access to attractions, conference centers, the University, and Camp Randall Stadium. There’s also a handful of luxury option for those looking for upscale accommodations. You can enjoy some added privacy to go with your charter flight at Mansion Hill, located in the Big Bug Hill neighborhood, and one of the areas top hotels. Built inside a German Romanesque revival mansion from 1857, it’s just a block from Lake Mendota, and a 15 minute walk to the University of Wisconsin–Madison. Another popular choice is The Edgewater, a historic hotel resort located downtown, offering luxurious rooms and amenities, a full service spa, restaurants, and more. Looking for a more recreational stay? Take a short ride over to Verona, WI and check-in to the Springdale Inn, a 5-star B&B offering luxurious stays across its 97 acres, while still in range of Madison and the area’s best events and attractions. There are 8 additional airports available between 20 and 35 nautical miles from Madison, WI. 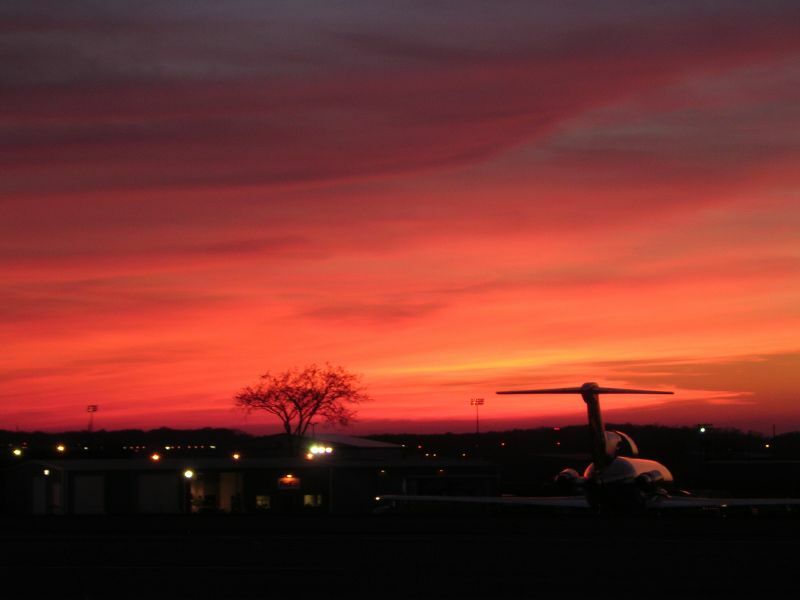 FBO services are available for private jet charters at Tri-Country Regional; Reedsburg Municipal also offers a private FBO terminal, but is limited to smaller aircraft operations. Our experience and relationships allow us to offer clients the best deals on private jet charters in Madison, WI without sacrificing the safety or comfort of your flight. Speak with our Madison Jet Charter brokers by calling us at 1-888-987-JETS (5387), or request a free quote by contacting us via email.